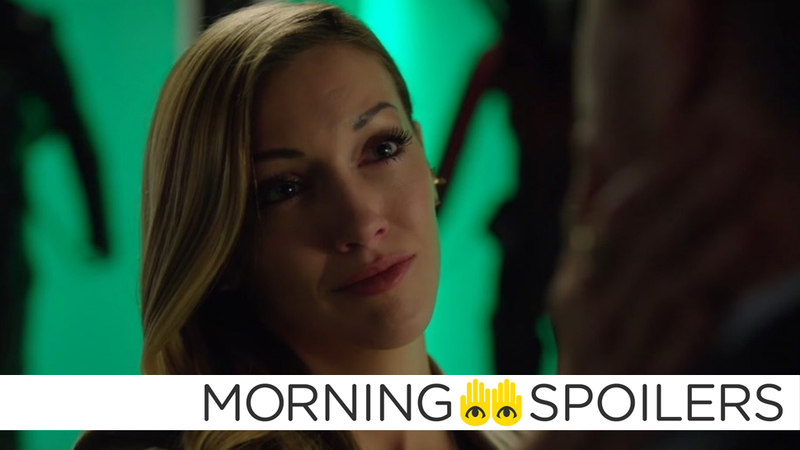 Is There Still a Future for Laurel Lance on Arrow? Three new actors join Star Trek: Discovery. Details on the Han Solo’s new merchandise darling. Even more wild rumors about the solo Batman movie. Plus, the next Bond movie may have found the director it deserves, and a new clip from Star Wars Rebels. Don’t lose your head, Valentines, it’s spoilers all the way down! John Williams is already hard at work composing the score. Director Chad Stahelski (John Wick, John Wick: Chapter 2) is interested in directing his own “wacky” take on the Bond franchise. Luckily for all of us (if British tabloids are to be believed), he’s rumored to be attached. According to John Campea on the YouTube series, Collider Movie Talk, Ben Affleck “wants out” of the role, badly. I’ve talked to three separate people, both in one way or another connected in some way to what’s going on at Warner Bros. What all three have told me was that — nothing about whether the script was thrown out or whether they liked the script, nothing about the direction Matt Reeves it taking it, none of that — but one of the things that has come out of the conversation with all three is this. They’re telling me that Ben Affleck, make no mistake, he does want out. He doesn’t want to to be Batman anymore, is what I was told. I have been told that Affleck is talking with Warner Bros in an attempt to get out of being Batman. And that if they do not let him out of being Batman, the standalone Batman film that ultimately happens will be the last time we see Affleck as Batman. All that, however, should be taken with a huge pinch of salt, because Campea preceded his claim by saying that it’s hugely unreliable and that it’s a rumor that shouldn’t be shared around by people, so why even bring it up in the first place? So make of the whole damn mess what you will. Tom Hiddleston gets fatalistic in this new TV spot. A picture from the set of Julian Lewis Jones with Jason Momoa has hit the web. Jones has been cast in Justice League in an undisclosed, but rumored to be villainous, role. So what’s he doing on the set of Aquaman? Everyone’s like, ‘Where’s Thea? Where’s Thea?’ Willa’s [contracted for] 14 out of 23 episodes this year. She’s not in all 23. That’s not her contract. We’ve had to write around that. Meanwhile, the producer also says that Katie Cassidy—who of course played the dearly departed Laurel, and returned in the midseason premiere as Earth-2's evil version of the character, Black Siren—still has a future on the show. We have an idea for how to see [Katie] again, but we haven’t made a deal with her. She’s not a series regular anymore, so we have to make a contract with her, and she’s got to be available. We haven’t had those conversations. But… we know exactly what we do want to do. You now know more than Katie does in terms of her involvement at the end of the season. More Black Siren? A resurrection on the cards? Start speculating now. CBS All Access has announced Terry Serpico, Maulik Pancholy, and Sam Vartholomeos have joined the series. Serpico will play Admiral Anderson, Pancholy is Dr. Nambue, the Shenzhou’s chief medical officer, and Vartholomeos is a junior officer aboard the starship Shenzhou. Somehow we’ve heard more about the crew of the U.S.S. Shenzhou on this show than we have the crew of the titular Discovery. Here’s the teaser for the series finale, “I Was Feeling Epic,” airing March 10th.